Pictured above is Grant Hansen with his mother Ruth during a Franklin family gathering to work on the Franklin possum skin cloak. 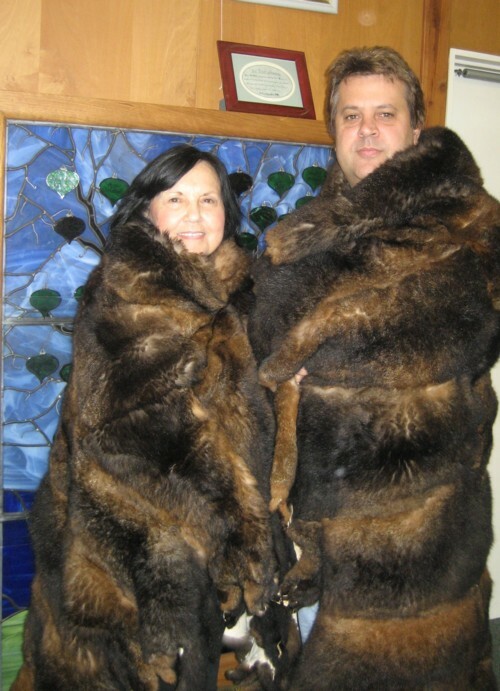 The pelts were donated to the Franklin family by Solution Support Services - a strong supporter of the Taungurung people. While the gathering was an assembly of various Franklin members brought together to design images to reflect each line's association with Taungurung country, the event was a great success as it brought members of the families together to share stories and memories. The cloak when finished will be available on request for any Franklin family member to use for special occasions.